It is a story that is as redundant saying “idiot president” or “boring praise dancer”: A kid joins a boy band, he blows up, his career cools and he discovers that the person handling his money left him broke. 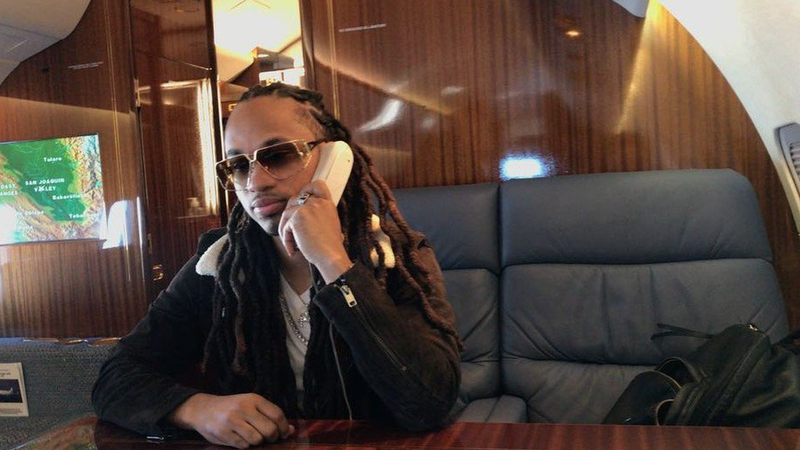 But when it happened to one of the members of boy band Pretty Ricky, he found a way to bounce back by turning social media into millions. The story of ... could you hold on a second? There’s no way I’m referring to a grown man as “Spectacular Blue Smith.” I’m sure no one calls him that for real. I’ll be right back. Anyway, after Spectacular formed the R&B/hip-hop band Pretty Ricky with two of his family members and a childhood friend, the group blew up, charting three gold albums on the Billboard charts. But it was when the group’s success began to fade that Smith found out that his money manager had made a series of bad moves that left him with nothing. I worked almost 18 hours a day on my girlfriend’s mom’s little computer in her den, building up my Twitter page. Within the first 30 days, I started making $15,000 from monetizing posts with ads sold against them. By the time I left my girlfriend’s mom’s house six months later, I’d earned about $100,000. Smith says he realized that he had found a gold mine when he had a conversation with reggae singer Sean Kingston and Superman enthusiast Soulja Boy, and they revealed that they had no idea how to turn their millions of Facebook followers into money. That’s when Smith had the spectacular idea to start a company monetizing clients’ social media accounts. Since then, Adwizar has grown exponentially. Its roster of clients have 240 million followers, and the company is making millions in revenue, turning Twitter and Facebook accounts for actors, musicians and athletes into cold, hard cash. He still talks to Soulja Boy.